We all have the same 168 hours in a week. Sure, Beyonce has an army of people to help her out, but the premise is still true. We all have the same amount of hours to work with. Time is the one resource we can never get more of. If we waste it, we’re wasting our life. The reality is that time is ticking, and if we don’t take ownership of it, it will take ownership of us, and we’ll be wasting those precious hours. How many people do you know who look at their kids who are headed off to college and go “Just yesterday he was in diapers.” They’re in disbelief that it actually happened. But friends, time actually happens. It never stops. We must learn to spend our time wisely because we don’t ever get it back. It’s so easy to think “I don’t have time.” It’s not that you don’t have time, it’s that you’ve chosen not to make time. You’ve chosen Netflix or napping over whatever else it was that was competing for your time. It boils down to your choices. You are the most powerful person in your life, because you have the power of choice. So this week, have a sense of urgency about your time. Those few hours you get with your family every day? Have a sense of urgency about them. Treat them like a work appointment that can’t be moved. Another thing you can do. Stop making to-do lists. Instead, make an appointment list. Take the same tasks that you would put on your to-do list, and put them on a specific day at a specific time, and make appointments for them. When you put them on your calendar, and they visibly begin to cost you time, you’ll be amazed at how much quicker you can knock them out. So let’s be urgent about our time. After all, once it’s gone it’s gone, and don’t you want to be able to say you’ve used it well? 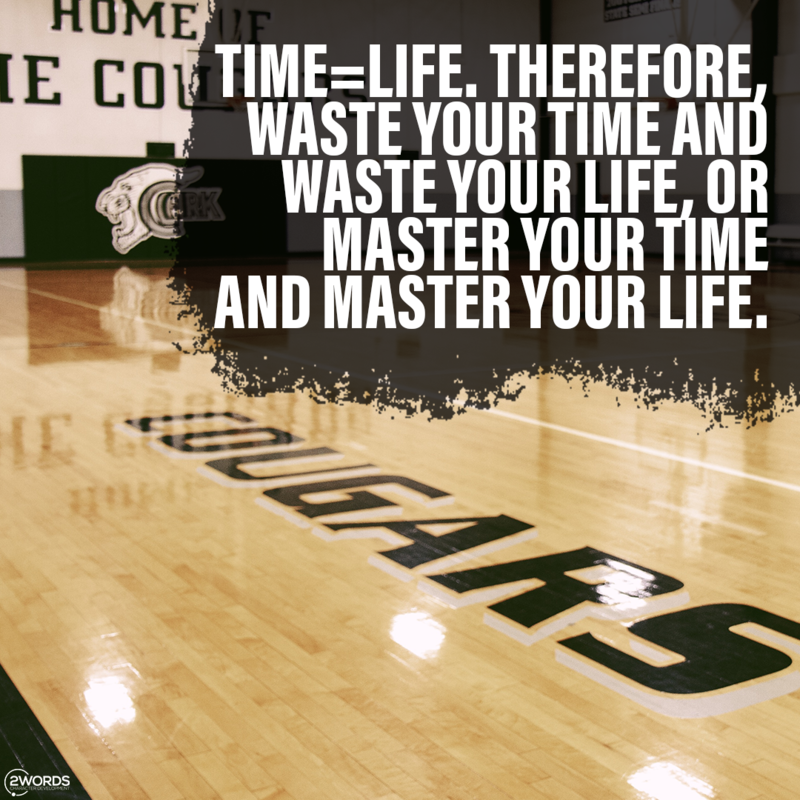 Where are you wasting time where you should be investing it? What would be different if you were to start being urgent with your time? What is one area of your life this week where you will make a commitment to reclaim your time?